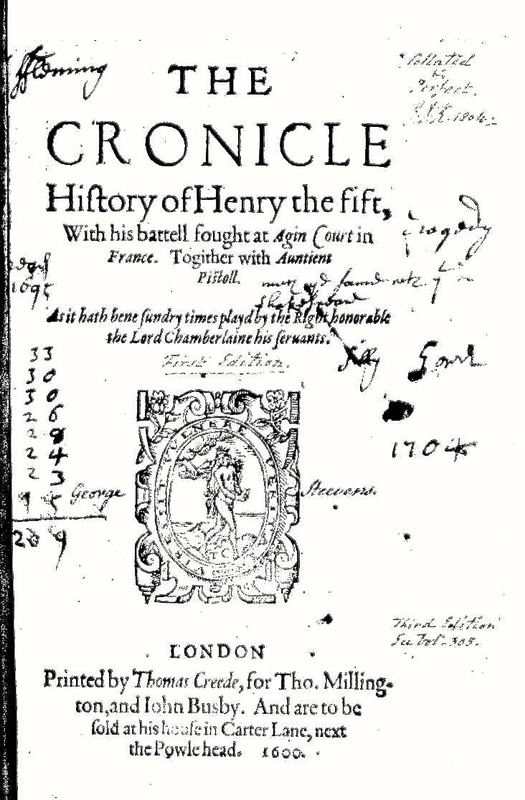 Title page of the 1600 edition of Shakespeare’s Henry V. The handwritten notes are by various owners of the volume over the centuries. Tags: Shakespeare. Bookmark the permalink.